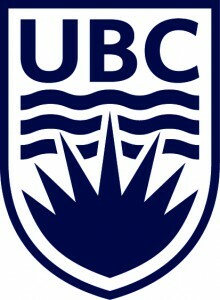 A Sociology professor whose community outreach is changing how people look at social issues, a Ecosystem Science professor whose research saved Canada over one-third of a billion dollars, and a Health Sciences professor who has dedicated his research to helping vulnerable and marginalized persons received this year’s CUFA BC Distinguished Academics Awards on Wednesday, April 3rd. UBC-Okanagan’s Dr. Christopher Schneider received the 2013 Early in Career Award Sponsored by Scotiabank for his work in helping the general public to better understand the society in which they live. Dr. Schneider’s public sociology ranges from frequent media interviews, to conducting workshops for RCMP officers, to encouraging his students to bring a non-student friend to class to learn how sociologists look at the world. 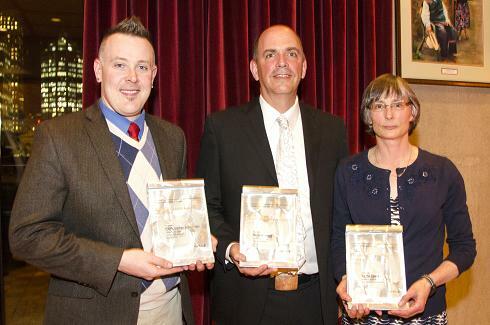 UNBC’s Dr. Kathy Lewis received the 2013 Academic of the Year Award for applying her research on pine beetle-infested wood to defend Canada’s interests in front of a Softwood Lumber Agreement arbitration panel in 2012. Dr. Lewis’ testimony was key to Canada winning the arbitration and avoiding a potential penalty of $380 million. SFU’s Dr. Robert Hogg received the 2013 Paz Buttedahl Career Achievement Award for his long commitment to using his epidemiological research to help save and improve the lives of vulnerable and marginalized populations. In particular, his work with HIV-positive persons has received both scientific and community awards, demonstrating the wide impact of his research. Sheryl MacKay, host of CBC Radio One’s North by Northwest, emceed the awards dinner on Wednesday, April 3rd at the Law Courts Inn in Vancouver. 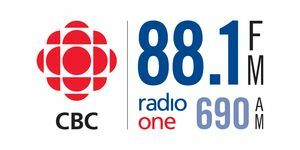 The CUFA BC Distinguished Academics Awards are in their nineteenth year and receive generous support from Scotiabank, CBC Radio One, University of British Columbia, Simon Fraser University, the University of Victoria, the University of Northern British Columbia, and Royal Roads University.